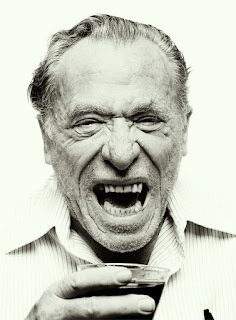 I asked the Sebian bloke, Predrag Almazan, why the fascination with Bukowski. His reply, “Well...you know how some things and moments in life help define who you are? I always loved to read, and one day, when I was 15, at my grandmother’s apartment I found a book with an interesting cover picture : It was Ham on Rye by Bukowski. “I asked what that book was about and my mother said that I was too young for that but my grandmother said that I wasn’t and told me to take it. I read it in three hours, and I was hooked. Then, I discovered his poetry, simply written but beautiful and strong. 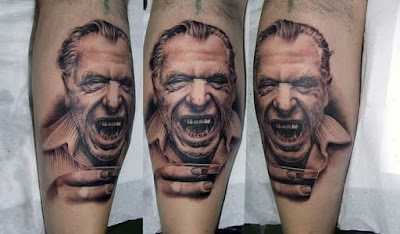 “I was writing poetry myself up to that moment for about 2 years, but I followed forms. Then, I discovered that you don't need forms, or rhymes, you have free verse. So, about that time, 1999, puberty, first sexual experiences, alcohol and drug abuse, NATO bombardment of my country (Serbia), I was changing in what I am now in part thanks to him, or you might say, my fascination with him. I have his every novel, and poetry book published here, even his comic - The Day it Snowed in LA, which only came out once in 500 copies in my country. 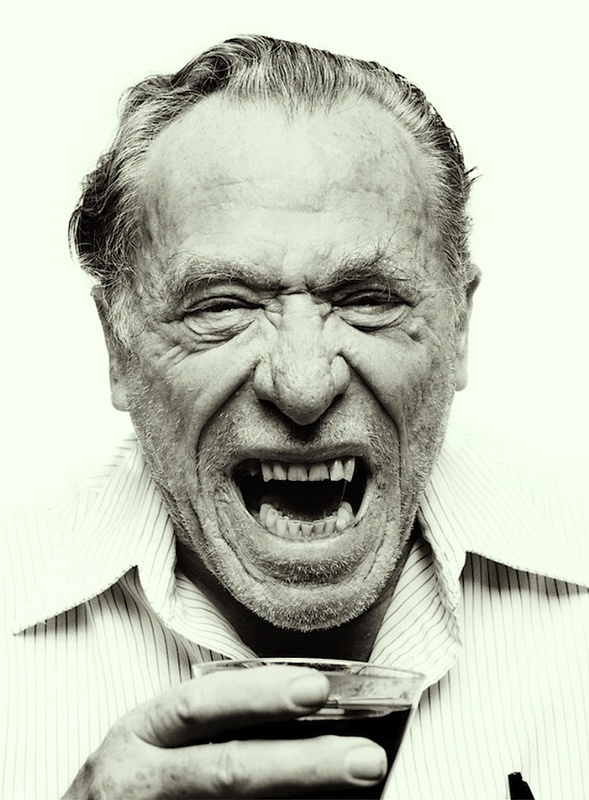 Bukowski is either hoisted on a pedestal or maligned for opening up poetry to the masses and encouraging the widespread writing of poetry. There is certainly no curbing of Predrag’s enthusiasm for Buk. 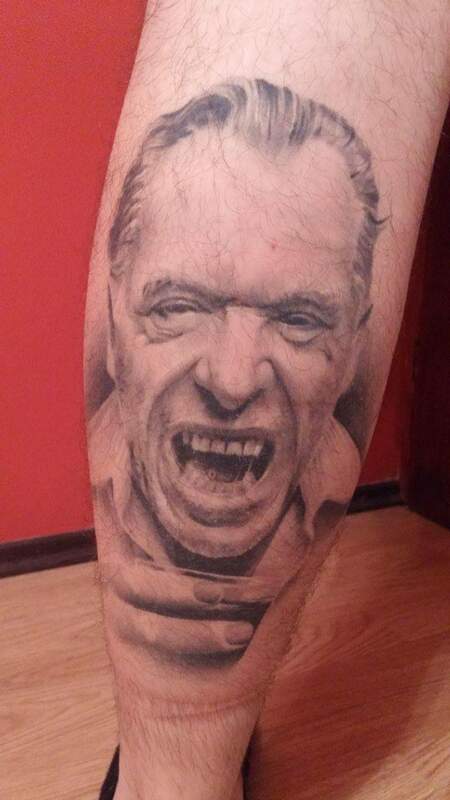 His leg is a testament to his love of Bukowski's writing. that will kill me more cunningly. Sunce se još tu i tamo snalazi. Jedan i jedan su još uvek. Ko može i dalje se oduševljava ljudima. Da me ne mrzi i ja bih bio normalan. Neko svoje noge naslanja na zid pa tek onda seda. Mrtvi drugari su popili svoje. Sanjaju me košmari jednog po jednog. Možda je pišanje po njenoj mokraći izvestan vid ljudavi. Uključim svetlo - svetlo ti se uključi. Možda ima nečega u vezama među ljudima. koje je u ćošku sažvakala. Izvukao sam kućicu i sunce. Srećne su priče bez kraja. Hajde da ga onda ova ipak ima. Sun is coping now and then. One and one are still. The one who knows how can still be amazed by people. If it wasn’t so hard I too would be normal. Some abuts their legs on the chair before they sit. Dead friends drank their share. Maybe peeing on her piss is some sort of love. I switch on the light – your light switches on. Maybe there is something about relationships between people. AntiMuse is expecting a child. Happy are the stories that have no end. So let this one have it anyway.